In 1824, Alexander Ross was assigned by HBC Governor George Simpson to head an expedition into “Snake Country” . 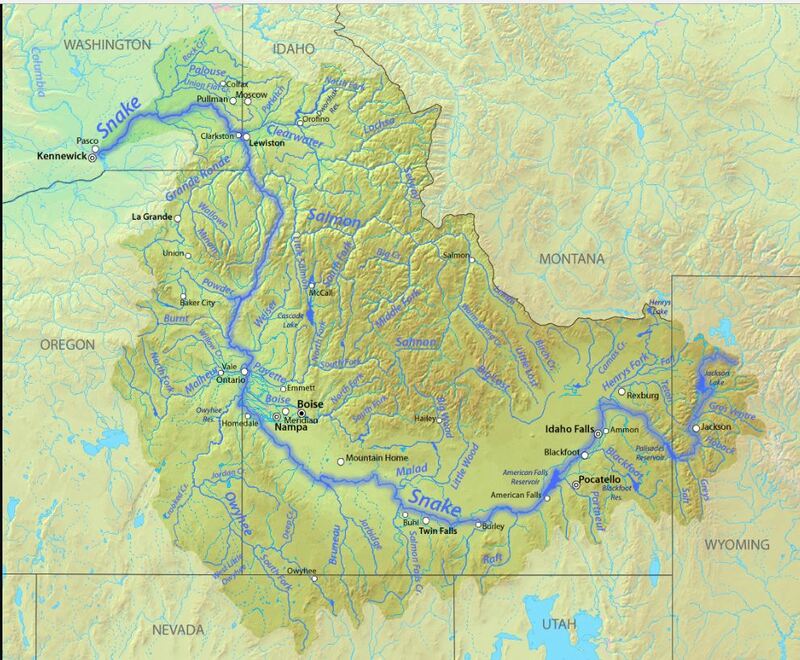 The Snake River runs off of the Columbia River in Washington State and travels south and eastward. Jean Baptiste Beauchamp or “Baptiste” as he was known, joined the expedition as a trapper. While the main party gathered at Flathead Post (near present day Sanders, Montana), he was at “Prairie de Cheveaux, the council ground of the Salish Nation. (Journal of Alexander Ross, Snake Country Expedition, Feb 10, 1824). He is noted in Bruce Watson’s “Lives Lived West of the Divide”. Reminds one of a western movie doesn’t it? Who this particular Jean Baptiste is I cannot say for certain. There are several voyageur records for Jean Baptiste Beauchamp for the years between 1794 and 1817 some for the HBC and there is a record for that name born in Pointe aux Trembles, Quebec in 1771 and dying in Louisiana in 1815 . That person married in Missouri in 1795, making him a strong possibility. Baptiste crops up again in Alexander Henry’s book “The Saskatchewan and Columbia Rivers”. Henry had traveled with Thompson from Lake Winnipeg to Vermilion Alberta. We next find Baptiste joining up with Peter Skene Ogden after Simpson became disgusted with Ross’s outcome in Snake Country. Ogden descended from a British loyalist family of good repute but had a violent temper himself. He joined the North West Company in 1809, his first post at Île-à-la-Crosse, Saskatchewan then an important supply depot on the fur trade route. This interests me because my grandmother’s family, the Daigneault’s were trappers in the area. Watson states that he thinks Baptiste was from Saskatchewan. He then states that Baptiste was in Spokane (1823) at the time Ogden was made Chief Trader by the HBC in spite of the fact that he had bloodily murdered an Indian for trading with them. Simpson felt he was just the man to accomplish the goals of the company now merged with the Northwest Company in an attempt to end the deadly competition between the two. Simpson initiated a “scorched earth policy” whereby Ogden was to bring back as many furs as possible, leaving none for the Americans. The rationale was that this would also deter settlement of the area. During the expedition Baptiste was on, 23 freemen defected to the Americans who promised a more fair return. In the late 1840’s Ogden was in charge of Fort Vancouver where ironically, another ancestor of mine, Joseph Ovide Beauchamp was working as a blacksmith. What are the odds? This entry was posted in The Beauchamp Family, The FurTrade by Shamwest. Bookmark the permalink.